Introduce a number line which contains the numerals one to twelve. 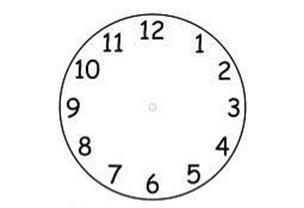 Bend the number line into a circle to resemble a clock face. Provide a worksheet with a large circle. These are the hours in each day. Now put the hands on the clock. Make 1 o’clock. 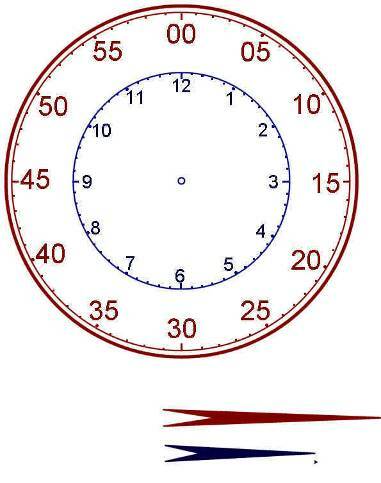 Now introduce the small hand in red which points to the hour and the minute or long hand in blue. Make the hands read o’clock. 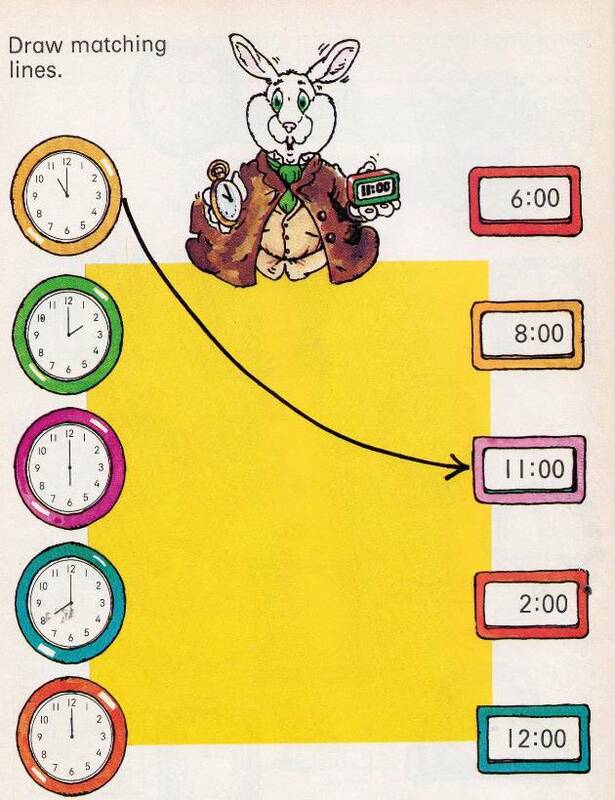 Play ‘What time is it Mr Wolf’ with children. It is now time to introduce half past the hour. If the little hand at 12 o’clock tells us it is ‘o’clock then the big hand at the number six tells us it is half past the hour. Make the hands read half past the hour. Let children try this worksheet to reinforce learning. Draw the same time on the clock as you see on the watch to which it is linked. It is now time to introduce a quarter to the hour. Quarter to the coming hour or 45 minutes after the previous hour. 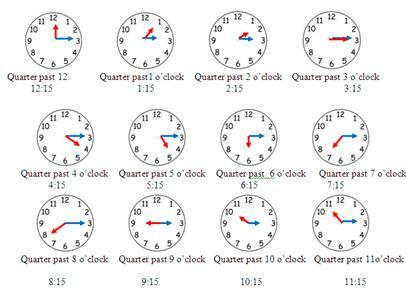 Use these images to reinforce all the three quarter hour times. It is now time to introduce a quarter past the hour. 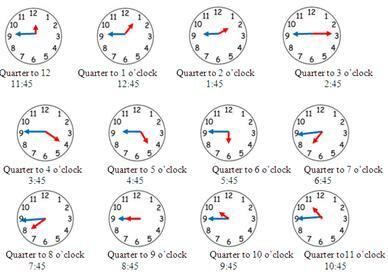 Use these images to reinforce all the quarter hour times. When the big hand is at 3 it is quarter past. 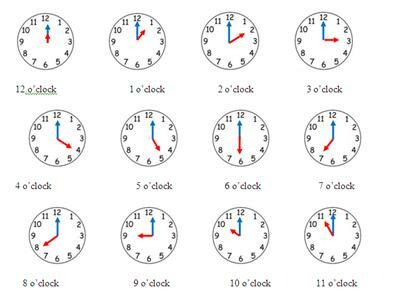 Write the correct time in the boxes. 5, 10, 15, 20, 25, 30, 35, 40, 45, 50, 55, 60. 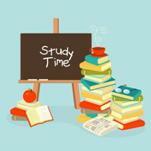 At what time do you get up, does school start, do you eat lunch, do you play in playground?. 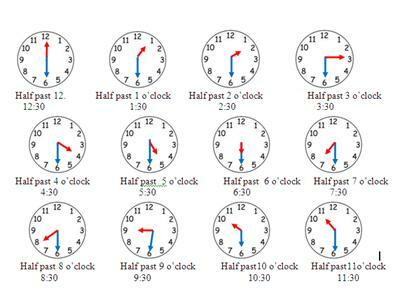 Some clocks display the time in a digital form. 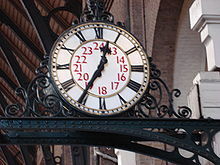 The digital clock uses the 24 hour clock like the famous one below. If you look there are two times for the hours. It could be 1o’clcok or 13.00 hours, 2.00 o’clock or 14.00 hours etc. We have shown below a small selection of our time worksheets. There are many more on the Time Worksheets page. 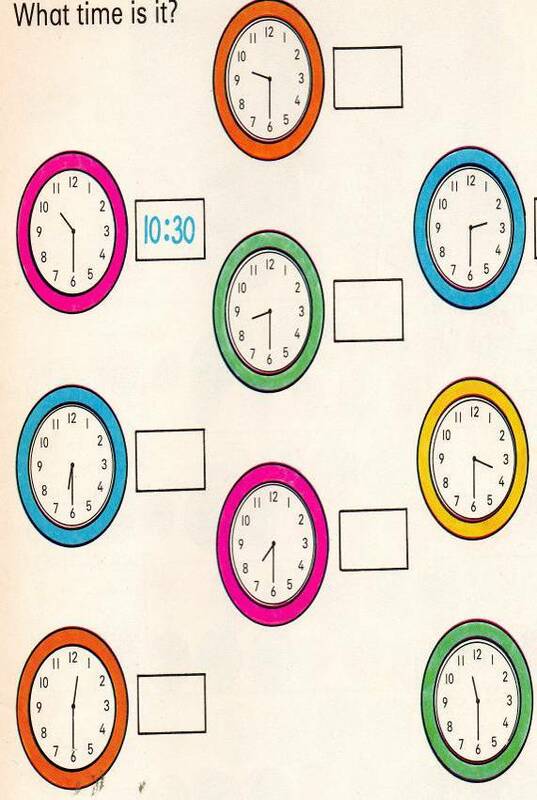 When learning to tell the time, repetition is invaluable, so this wipe clean book (with pen included) is perfect for early learning of this vital skill. Knowing that mistakes can be wiped away increases children's confidence as they are willing to 'have a go'. Friendly little monsters introduce children to the hour, half hour and quarter hour on both digital and analogue clocks. The activities are fun and engaging with plenty of storylines which put the time into context with activities throughout the day. Varied, colourful and inviting - a super book. A clever idea this, to create a series of books using the well-known iPad format - children will love it! 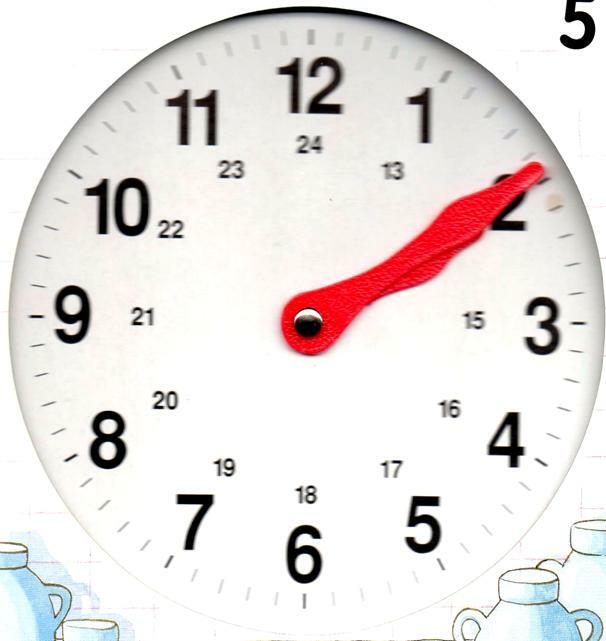 Ideal for pre-schoolers, it introduces the concept of time in an easily understandable way. Usefully, it is not just about telling the time, but time in a wider sense - days, months and seasons are all included, making this more comprehensive than many books. There are plenty of simple fun exercises to help learning - and gold stars to reward progress. There are clocks to complete, letters to write over and questions to answer. Attractive pictures and the novel format will encourage learning, and parents are guided by the helpful notes. This sturdy wooden teaching clock is an attractive way to teach the concept of time. Recommended for 3+, I would like to see it in a younger child's room so they become familiar with the clock. There is a brightly coloured wooden circle for each 5 minute segment, with a clear numeral and the number in words. Under each are the words eg quarter past to help with those concepts - this is useful as children can find these challenging. An additional use is for colour, size (the circles are different sizes) and number recognition. This is a good value product - durable and well made, with a really satisfying feel and lots of play options.